Imagine you’re a college sophomore at an IT professional cybersecurity simulation event with college and graduate students from top schools around the country. The presenter starts describing autonomous technologies and cyber-physical systems—technical topics not usually taught in college curriculums. What do you do? Amanda Pearce, a MITRE intern last summer, jumped right into the discussion. "Thanks to the research programs at MITRE and the constant technical conversations that an intern is immersed in here, I was well acquainted with the jargon of the technology world," she says. "So I was able to readily participate in it. It helped me stand out from some older students who attended very prestigious universities." In fact, she was the only student at her table during an informal networking lunch who participated in a discussion with the IT security professionals about autonomous technologies—while graduate students from other universities sat and watched. "They were probably wondering how this sophomore from James Madison University could have knowledge on a current cybersecurity topic that few schools teach about." Fortunately for Pearce, as part of her MITRE internship, she researched autonomous systems and technologies. She then gave a presentation about what human control of these systems will look like in the future. "I also learned about some of the latest technology advances—like bitcoin, cyber-physical systems, and red-hat strategies—just from talking to MITRE's computer science experts every day and asking questions." Pearce recently learned that she won a Science, Mathematics, And Research for Transformation (SMART) Scholarship for Service. The SMART program is a Department of Defense initiative designed to support undergraduate and graduate students in STEM disciplines and encourage them to work at the DoD after graduation. For the initial application, Pearce wrote a 5,000-word essay on her current educational plan and a detailed future career plan with the DoD. Her MITRE internship prepared her for that question as well. "At MITRE, I learned about many different career paths that I could take with my degree. And through my work here I had a much better idea of what I want my career to look like after I graduate." For the second part of the application, Pearce sat down for a 30-minute interview with a representative from the sponsoring facility. "They asked me to sum up my application, so I discussed my experience as an intern at MITRE and gave details about what I learned." She impressed the interviewer and credits MITRE for providing such a valuable internship. "The work I did during my MITRE internship was truly applicable and relevant to the current events of the technology world. That made me into an attractive candidate to potential employers. It also gave me the confidence and knowledge to speak on relevant topics eloquently." 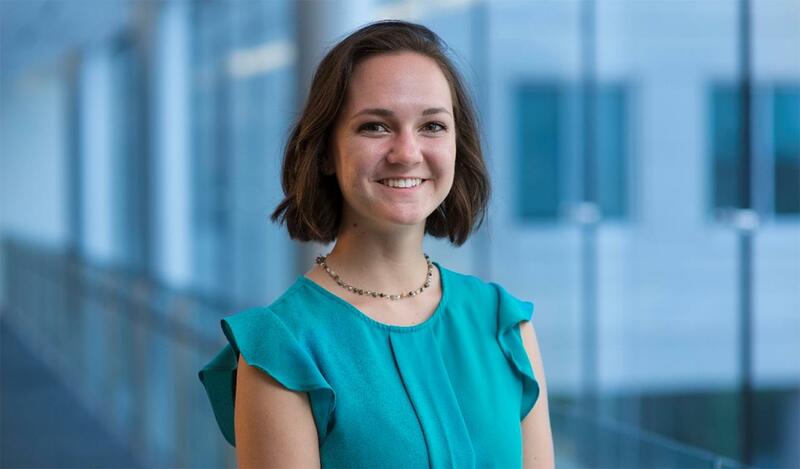 "My internship at MITRE was full of watching, listening, learning, and doing because as an intern I was fully included in a group working toward a project with a greater mission. I didn't know how to learn until I got to MITRE and I would recommend this experience to anyone. Thank you MITRE! Sincerely, Amanda (Mandy) Pearce, B.S. Computer Science, James Madison University, Class of 2020." If you're a college student interested in MITRE, check out our current Job Opening or read more about our Student Programs.